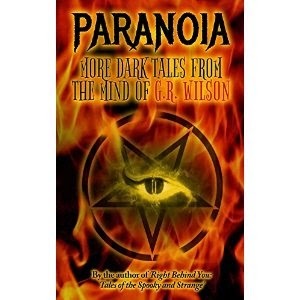 "Paranoia," by G.R. Wilson, is a collection of horror stories that will put any horror fan on the edge of his/her seat until they finish reading! One of the things I love about this collection is that it is so eclectic. The stories vary in location, characters, even perspective (some in first person, some in third). The writing is suited for the genre, keeping you at the edge of your seat, waiting for what's next. For me, the standout story is "Final Rest Stop." A young couple makes a stop on the desert highway at night and things get ugly. What more could you want from a horror story? Really, though, all the stories are well-written and scary. This would be a great book to bring along to a campfire and read aloud! This is a must-read for any horror fan who likes short stories!